There are plenty of Clearwater salvage companies or Tampa junk car buyers. In fact if you search for junk my car services in Hillsborough or Pinellas County who will offer you cash for your old car, you will have plenty to choose from. When you decide to scrap your old vehicle, you should know that not all Tampa Bay salvage companies work the same way. Cash for Junk Cars Clearwater FL provides some tips below for you to ensure that you get the best price for your old junk car, whether you are in Tampa, Clearwater or St. Petersburg. Give as much information as you can about your vehicle so you can get the best cash offer for your vehicle. Always ask if the towing charge will be additional. 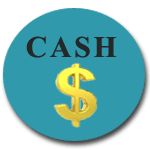 This is the most important thing you can ask because many people who scrap their cars with a Tampa Bay junk car buyer, will end up having to pay for the towing out of the cash that they are offered. Many times, they end up actually paying for the vehicle removal service, rather than making cash. Why Sell Your Old Car, Truck, RV, Boat or Vehicle to Cash for Junk Cars Clearwater FL? Sometimes, people get attached to their old vehicles and even when they are inoperable, it can be difficult to let go of your vehicles and sell them for cash. Here are a few good reasons to junk your car in Clearwater or Tampa Bay with a Clearwater, FL junk car buyer. The cost of maintaining insurance on a vehicle that doesn’t run can save you a lot of money. If your car is registered, it must be insured. You must legally turn in your tags if you wish not to insure it. Lawn ornament or old cars. If you’re not sick of that old vehicle taking up space on your property, or if the wife has turned your old, beloved “hooptie” into a planter– you may wish to consider calling a junk car removal service. Pocket the cash we pay you for your old vehicle, and treat her to something special. Or— buy a new toy for yourself? You’ve been told you must remove a nuisance vehicle. Yes. This would be a good time to comply and call a vehicle removal company. Why not put cash in your pocket and get free towing rather than pay the county or city for a nuisance vehicle citation? Your neighbors will like you again. You need cash. If you do not need your old or unwanted vehicle but you do need some cash, scrap it. Holding on to an old car doesn’t help your bank account. Selling your old vehicle to a Clearwater Florida or Tampa junk car buyer, will put some much needed cash in your bank account. Scrap your RV’s and Boats for cash? People don’t talk much about scrapping their boats or recreational vehicles, in part because some salvage yards don’t buy them. We buy boats and RV’s will pay cash plus we offer free towing when you accept our cash offer. If you have an old boat or RV and you are paying to store it, ask yourself how much money you could save and make by scrapping it today.